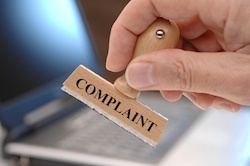 When any employee files a formal complaint, a serious and sometimes complicated investigation will follow. When a problem employee files a complaint, the severity and complexity of the investigation automatically increases. Yes, the performance of the employee who files a claim should have nothing to do with an investigation, but that is simply not how it works. A worker, Jeanie, has established a pattern of poor performance and has been on her last written warning for a couple of months. Her termination would have likely taken place already if the proper documentation had been made, but in most situations like this, it hadn’t. Her manager, Greg, has convened with counsel and it has been agreed upon that Jeanie will stay until her performance has improved or the proper documentation demonstrating progressive performance management is in order. While it would have been better for Greg to have documentation ready to move forward with the termination, now he is taking the appropriate steps with HR to ensure that he is not placing the organization at risk. He is also making sure to properly document performance issues going forward. While Greg is proceeding with an appropriate process, Jeanie makes an allegation that she is the victim of racially-motivated harassment at work and has filed a formal complaint. Jeanie has also been able to bring forward solid evidence and witnesses to back her claim. This claim obviously must be taken seriously and investigated properly. Jeanie’s performance cannot affect the investigation in any way. Any claim of harassment, happening to anyone, must be handled in an unbiased fashion. If her claim is found to have merit, the accused will incur the appropriate disciplinary action, and the resolution of the claim will be addressed with Jeanie. Furthermore, steps will be taken to mitigate the risk of these behaviors reoccurring. It will also be communicated to Jeanie that she needs to communicate any future workplace issues. Because of Jeanie’s unique situation, being on her last written warning, her performance management has to be handled with the risk of retaliatory claims in mind. Jeanie is now under a protected class having filed a harassment claim. The timing of this particular claim means that HR and management must work together before any disciplinary action is taken. Any actions taken against Jeanie, could be perceived as retaliatory, having been motivated by the claim of harassment. Every communication with Jeanie about both the harassment claim, and her performance must be discussed between Greg and his HR counsel. In this manner, Greg is supported in his performance management efforts, and the organization can mitigate the risk of a retaliatory claim going to court. Greg will also need counsel regarding the review of Jeanie’s previous performance documentation to ensure that if a termination takes place, the proper and unbiased documentation exists. This situation is the perfect example of the importance of documenting internal discussions. Going forward, Greg will always work with his HR team to properly document the performance of all employees, including internal conversations that aren’t necessarily shared with Jeanie. If your organization can provide documentation between leaders that clearly demonstrates they were ready to take action on the problem employee prior to the filing of any claims, they will be in a better position to take action later. This type of documentation proves that there were issues with the employee prior to, and separate from claims. Try as you might to keep the performance issues separate from the claim, the truth is that they have to be considered in tandem in order to safeguard the organization. This is a prime example of the daily struggle in HR. Human Resources professionals must always walk the line between doing what is best for their employers, while ensuring a safe and healthy environment for employees. Handling these seemingly separate issues simultaneously presents serious and costly risks for the organization. Does your HR department have the knowledge and resources to mitigate those risks? Learn more right now.